INDIANA -- A Muncie felon with a history of local dog-related problems has been found guilty of cruelty to a 20-pound pit bull. John W. Ewing, 37, 320 S. Beacon St., was convicted in Muncie City Court on Aug. 27 with cruelty to an animal, a Class A misdemeanor. Sentencing in this case has been set for Oct. 29. According to a Muncie Police Department case report, police in May were dispatched to the Muncie Area Career Center, 2500 N. Elgin St., in reference to a “suspicious subject on the track.” When they arrived, officers observed a man later identified as Ewing walking a dog pulling “a sled” around the track. That sled, officers later determined, contained a six- to seven-foot-long chain “with a (10-) pound weight, which was attached to a thick harness” that, in total, weighed about 20 pounds. Approached by officers, Ewing — who was “very upset, angry and wanted to walk away immediately” — said he “was just out walking his dog,” according to the report. 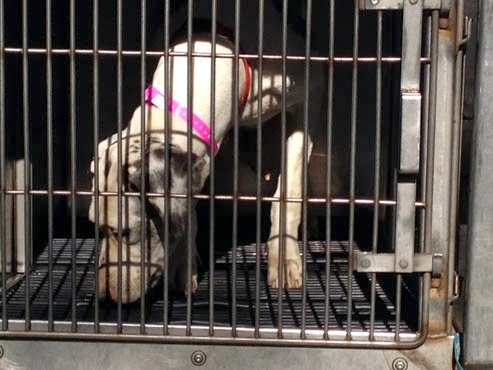 The dog was taken into the custody of Muncie animal control officials. Ewing’s animal cruelty conviction wasn’t the first time he’s faced dog-related problems in Muncie. In June 2012, the Metropolitan Board of Zoning Appeals voted 5-0 to deny a zoning variance to Ewing, who was operating an illegal pit bull kennel in the backyard of his South Beacon Street home. Ewing was not suspected of neglecting the dogs, but the BZA ruled that locating a dog kennel in the historic East Central residential district was cruel to neighbors due to frequent barking. Ewing’s South Beacon Street home was also heavily damaged by flames Sept. 17. 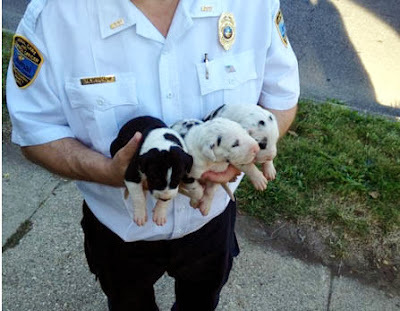 During that fire, city firefighters were able to pull seven puppies and a mother dog from the burning home. 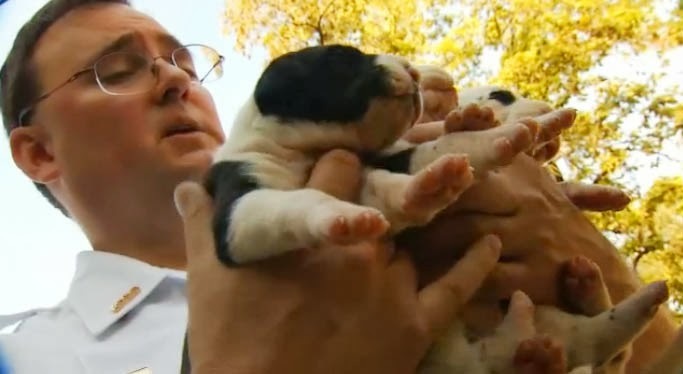 The puppies survived the blaze; their mother, however, died at the scene. Rob Mead, chief investigator with the Muncie Fire Department, said Friday the cause of that blaze remains under investigation. Ewing, a convicted felon, has served prison time for convictions that include robbery (1996), possession of cocaine (2000) and possession of a controlled substance (2000). He was most recently released from prison in October 2011, according to state Department of Correction records. FLORIDA -- A Gateway Charter High School teacher is charged with animal cruelty after reportedly leaving a four-month-old puppy in his trunk. On Friday around 11 a.m., two students from Gateway Charter High School noticed a man take a puppy out of the trunk of a Mercedes, walk it around - and then put it back in the trunk. Emans was instructed to open the trunk. The puppy was still alive. Lee County Domestic Animal Services was called to the scene. Emans surrendered the puppy to animal services. Officers transported it to the agency's veterinary clinic for care. 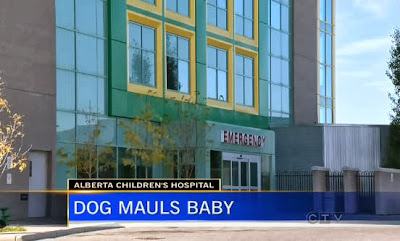 They say the puppy was panting heavily and in need of water. Ria Brown with Animal Services says the trunk was registering 157 degrees. She says when they asked Emans why he did it, he said he was only working half a day. “Why he would even think a half day in the trunk would be OK?” asked Brown. School officials confirmed he was scheduled to be there the entire school day. 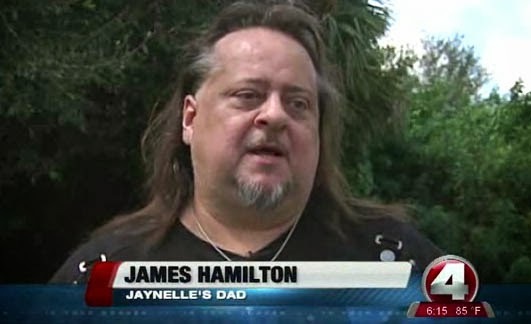 It is unclear why he had the dog with him at the school in the first place. They would not say whether Emans still worked at the school or not, citing employment privacy concerns. 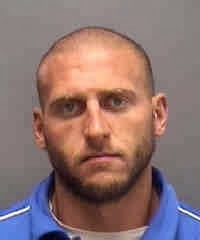 Emans was charged with misdemeanor Animal Cruelty, which is punishable by up to one year in jail and/or a $5,000 fine. The puppy, a Staffordshire Terrier named "Oakley," is available for adoption. The shelter is taking applications. 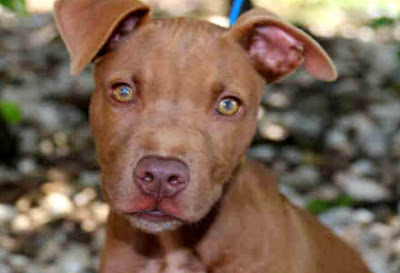 Interested adopters may complete an application online at www.LeeLostPets.com, or go to the shelter at 5600 Banner Drive, Fort Myers, to submit an application. 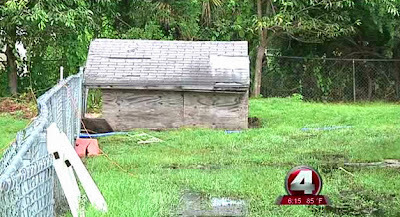 Animal services adds that anyone with information regarding animal abuse should call them at (239) 533-7387. NEW YORK -- Canastota Police say they were called to investigate two Rottweilers that were running loose and attempted to attack a cat on South Peterboro Street in the Village of Canastota on Saturday afternoon. Police located the two Rottweilers running on The Terrace in the Village of Canastota. Police say an officer restrained one of the dogs and began to search for the owner of the dog when the second dog emerged from a driveway showing its teeth and growling at the officer. The dog then ran at the officer. 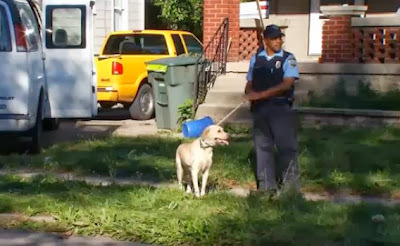 The officer defended himself from the attack by discharging his service weapon into the dog until the animal retreated. The dog was located alive in the rear of 107 The Terrace and transported by The Town of Sullivan Animal Control Officer to the Village Veterinarian Hospital. A single round struck a door casing of a neighbor’s residence when the officer fired the weapon. This incident is being investigated and the Canastota Police. They are asking that anyone with information contact them at 697-2240. 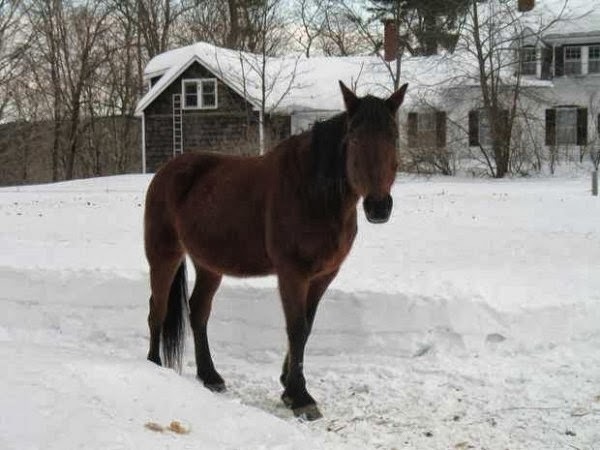 MAINE -- Molly, a 16-year-old horse, was attacked last Friday by two dogs when her owner was riding home from purchasing produce at a local farm market. 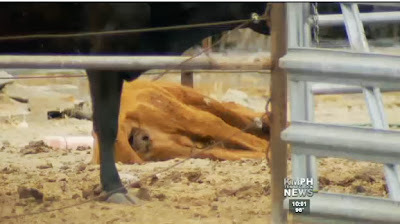 The horse suffered wounds to her neck, chest and belly. Janice Goodwin had ridden Molly to Beth’s Farm Market to get an apple. While riding home on Western Road, two dogs came out of a driveway and began nipping at the horse’s tail. Goodwin said she noticed that two children came to the end of the driveway to call their dogs, but the pets did not obey. She turned Molly around, hoping the dogs would return home. Instead, the dogs became aggressive and attacked her paint horse. When the animals began attacking, she dismounted to prevent the horse from bolting. The dogs did not attack Goodwin. Deputy Lance Mitchell of the Knox County Sheriff’s Office stated in his report that about 10 citizens stopped and helped get the dogs away from the horse. Goodwin said she did not know what breed the dogs were, and Warren Animal Control Officer Larry Reed was not immediately available for comment Monday. Molly was treated that evening by a veterinarian and was then taken to Annabessacook Veterinary Clinic in Monmouth. Goodwin said she expected to pick up Molly on Monday, but the expected pick up day changed to Wednesday when some wounds had to be drained again. Goodwin said the dogs had their rabies shots, and their owner has agreed to pay the costs for treating Molly. The sheriff’s department was not immediately available to state whether the owner of the dogs would be charged. UNITED STATES -- NBC Sports Network has decided to cancel a hunting show after the host, a lobbyist for the National Rifle Association, likened his critics to Adolf Hitler. 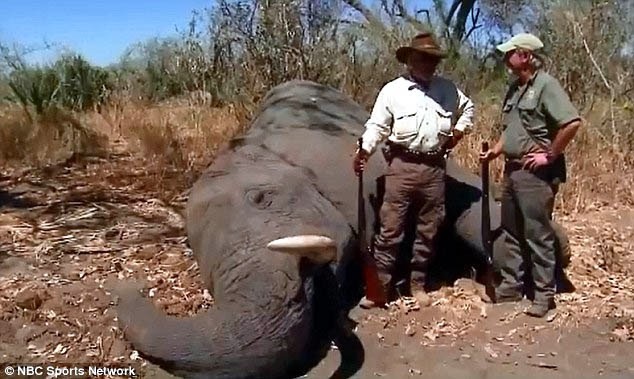 The network sparked outrage after airing an episode of Tony Makris's show, 'Under Wild Skies,' in which Makris kills an African elephant by shooting it in the face [several times] and then celebrates the hunt by drinking champagne. In response to his critics, Makris went on an NRA-sponsored radio show and accused them of 'animal racism' for jumping to the defense of elephants as opposed to other animals. 'And [critics] said but they're so big and special and they're smarter. And I went, you know, Hitler would have said the same thing,' he said. NBC Sports has canceled 'Under Wild Skies' as a result of his remarks. 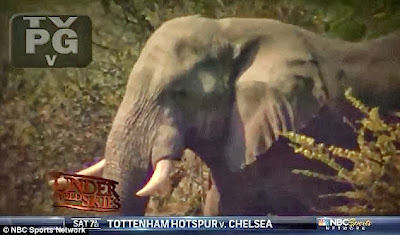 The episode where Makris kills an elephant is filmed in Botswana, where elephant hunting remains legal until 2014, when a new law against hunting the endangered animals kicks into effect. In a highlighted reel from the show, Makris and the guide are shown hiding behind brush about 20 feet away from the animal. They talk about shooting it in the face before Makris fires a couple shots. 'I'm bent over literally shootin' through a hole in the trees,' he says to the guide, just before firing the two shots. He hits the animal, but does not kill it. The elephant cries out in pain and runs off, but doesn't get far enough away to escape its fate. Makris fires another shot and the animal lets out a long, loud groan. Then Makris begins chuckling. 'Somebody got a little cheeky there,' he says breathlessly, apparently referring to the elephant's struggle to stay alive. 'Can we shoot some birds this afternoon, or...?' he adds. 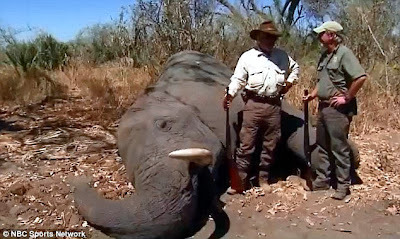 In the next shot, Makris and the hunting guide are standing next to the lifeless elephant. 'He didn't know we were here, but what a hunt!' Afterwards, the men celebrate by drinking champagne. Deadspin, which first reported on the show, points out that a ban on hunting elephants is set to go into effect in Botswana in 2014. Some NBC Sports viewers are now calling on the network to cancel the show. hunter he believes himself to be? UNITED KINGDOM -- A dog will have to be put down after viciously attacking two traffic wardens who were giving its owner a ticket. A judge made the order after hearing the Jack Russell terrier ran out of its Coventry home and sank its teeth into the legs of the two women on patrol. The pet had already attacked a 14-year-old girl. Judge Philip Gregory ordered the ‘‘remarkably vicious’’ small dog be put down after hearing both victims suffered serious injuries. Both have been left traumatised by the incident and one still suffers nightmares. The dog’s owner Karen Morgan had pleaded guilty during an earlier hearing at the crown court in Leamington to two charges of allowing her dog to be out of control and to cause injury. At Coventry Crown Court, following an adjournment for a report to be prepared on her, Morgan, aged 51, of Cedars Avenue, Coundon, Coventry, was fined £500. Prosecutor Ben Gow said that on April 27 two ‘‘civil enforcement officers’’ saw Morgan’s car parked on double yellow lines. 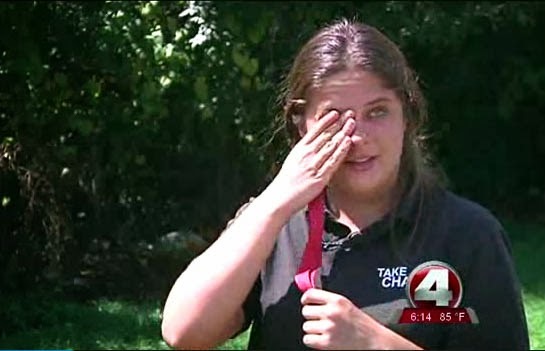 As they were issuing a ticket, Morgan came out of her home to speak to them – followed by her dog. The Jack Russell went for both women and attacked them in the street. David Murray, defending, said Morgan, who had no previous convictions, ‘‘fully understands the effect such an unexpected act would have on the victim’’. Reading a pre-sentence report on Morgan, Judge Gregory observed that she is a nurse who is currently working in a rehab centre for the elderly. He said: “She was seeking to move home because her property had been burgled and she felt vulnerable living there. “The incident happened because she parked on double yellow lines to have her car close to her home to load it. Mr Murray said Morgan had had the dog, a Jack Russell cross which she had had for four years, muzzled and chipped, and it is not allowed out in public places without a lead. Judge Gregory commented that that was as a result of an earlier incident when it had bitten a 14-year-old girl who was bending down to pat it. Mr Murray argued that a ‘contingent destruction order’ – one where the dog would be destroyed unless certain requirements were complied with - would be ‘more appropriate’. Fining Morgan, the judge told her: “Normally I have to deal with criminals in the crown court. You are not a criminal; you are a respectable, hard-working, decent lady who is doing your best to bring up your daughter. “Why you are here is not because of any criminal act, but because of a negligent act because you did not think to close the door behind you when you ran out because you didn’t wish to receive a ticket – and it had ghastly consequences. “But it also had ghastly consequences for the two ladies who were only doing their job and would not have given you a ticket if they had known what was going on. “This is a dog with a history; a remarkably vicious dog, given what it did to these two ladies, and I am afraid it has got to go. I cannot avoid making a destruction order. 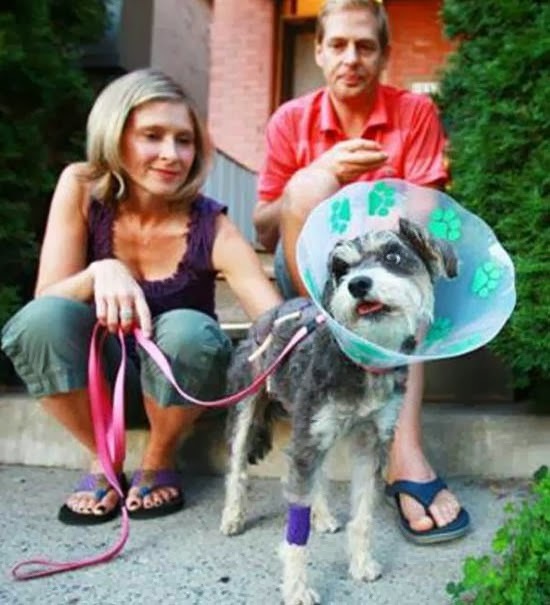 CANADA -- When a large aggressive dog attacked little Bella the Snorkie at the Central Experimental Farm Friday, the bleeding and injured animal knew exactly where to go. “She was saying, ‘I didn’t know anyone was here. I came because I didn’t expect anybody else to be around,’” Simpson said. After refusing to give him her name, she turned and walked away. “She said I was scaring her because I was too upset,” said Simpson, who snapped a picture of the woman’s retreating back. GEORGIA -- A Murray County Sheriff’s deputy is recovering after being attacked by a dog while on duty Saturday afternoon, according to a news release from the sheriff’s office. Kevin Tankersly, who is [also] an animal control officer, responded to a call at Spring Lakes Golf Club, 1591 Golf Course Road, about an aggressive dog who was chasing golfers. When he tried to remove the dog, it became “aggressive and severely mauled him,” the release states. Tankersley was bitten several times on his arms, chest, neck and face, resulting in “multiple and serious deep lacerations,” the release states. He received numerous stitches after being taken to Murray Medical Center in Chatsworth. Tankersley shot the dog to stop the attack. Medical tests will be performed in the coming weeks on both the deputy and the dog, the release states. More information is expected to be released this week. OHIO -- Three goats are dead and five were left severely wounded after three dogs attacked them Tuesday on Courtview Drive in Carrollton. 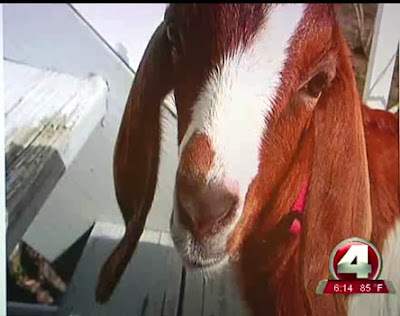 Police were called to the area after the owner of the goats reported the attacks. 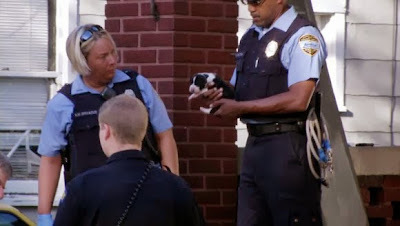 The dog warden searched until the dogs were found and captured. The dogs also had growled at and attacked a worker in the area, according to Police Chief Ron Yeager. He said the dogs were a pit bull, St. Bernard and mixed breed. 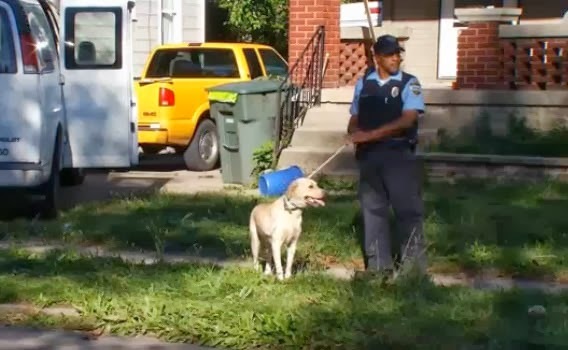 Yeager said this is the third time the NW 5th Street dog owner has been cited for dogs running at large. 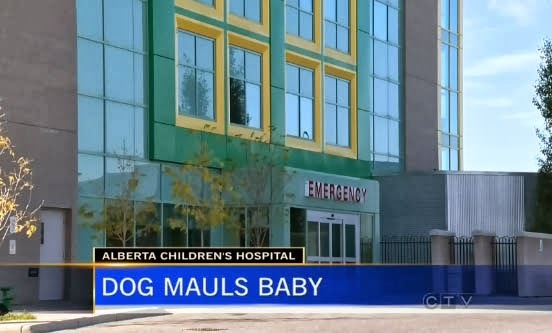 CANADA -- A baby boy is receiving medical treatment at the Alberta Children's Hospital after he was bitten in the face by his family’s dog Wednesday evening. 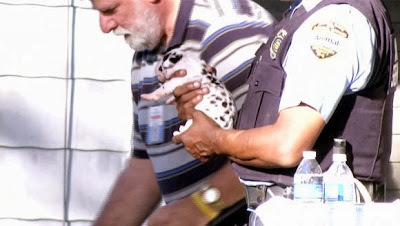 According to EMS spokesperson Stuart Brideaux, the baby was transported by ambulance after suffering a bite to the face by the family’s pet. The family turned their Straffordshire Terrier over to town officials. The dog has been impounded and will be tested for rabies and diseases. The pet will remain under quarantine for ten days and undergo a behavioural assessment. Officials with the town of Okotoks say the dog involved in the incident has no history of aggressive behavior and Staffordshire Terriers are not considered a violent breed. After the ten day quarantine, the family will decide if they want the dog put down or if an application needs to be presented before the courts. 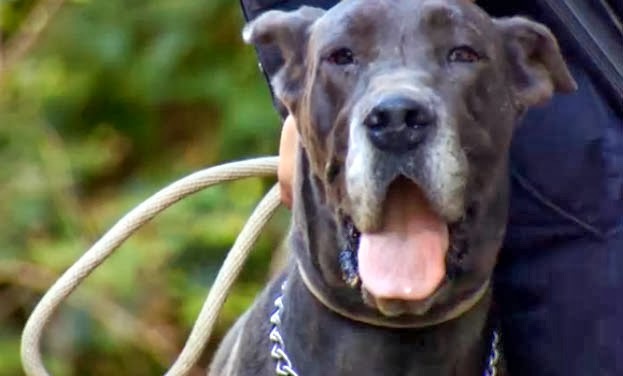 AUSTRALIA -- A YOUNG Brisbane woman has described how her puppy died in her arms despite resuscitation attempts after being attacked by a bull mastiff this week. Nineteen-year-old Tauri Chris said she was traumatised after her dog was killed by a bull mastiff on Wednesday only metres from her Calamvale home. 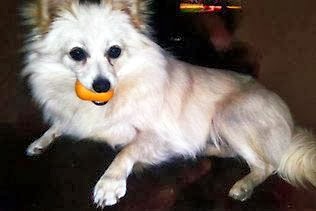 Ms Chris was walking her Pomeranian, Bella, at Orania Cresent about 5pm on Wednesday when she was approached by a man and his bull mastiff. She said she called for the man not to come any closer but the dog attacked. 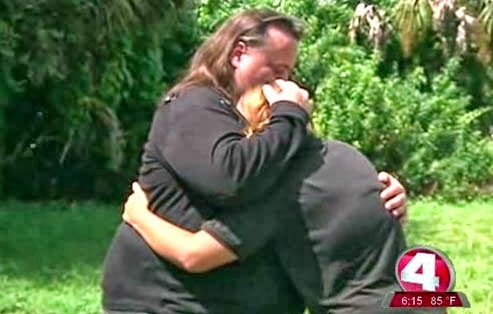 “My puppy died in my arms,” she said. “I’ve never been more traumatised and messed up by anything in my life. Ms Chris said she felt like she had lost a member of her family. “My life was dedicated to that puppy,” she said. “It feels like my child has died. A 55-year-old man from Calamvale has been charged with wilfully killing an animal. 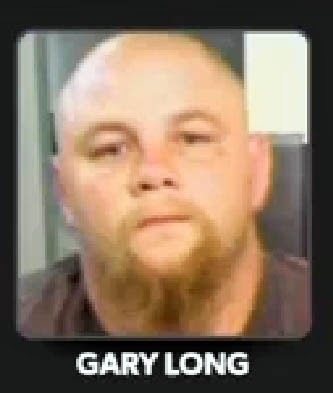 He is due in the Richlands Magistrates Court on October 28. Police and council officers are still looking for the dog, described as a grey and white bull mastiff. Calamvale Police Senior Sergeant Lance Bowman said earlier: “She tried to get in and break the dogs apart, but being that it was a big dog the little Pomeranian didn’t have a chance. 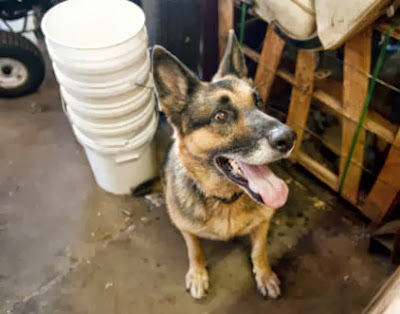 PENNSYLVANIA -- A family in Northumberland County does not understand why their neighbor went to extremes and shot and killed their dog. Rayne got loose and wandered into a neighbor’s yard, according to state police. The dog set off motion lights, and investigators said Wayne van Blargan shot twice from a distance of 15 feet, killing the McNett family pet. According to the McNett’s neighbor, Wayne van Blargan stays with her but was not available to talk about the shooting. With Rayne gone and her children in tears, Kristy McNett hopes the person responsible for the dog’s death is held accountable. “Charges are being filed, hope we get justice for Rayne, wasn’t nothing she did,” she said. 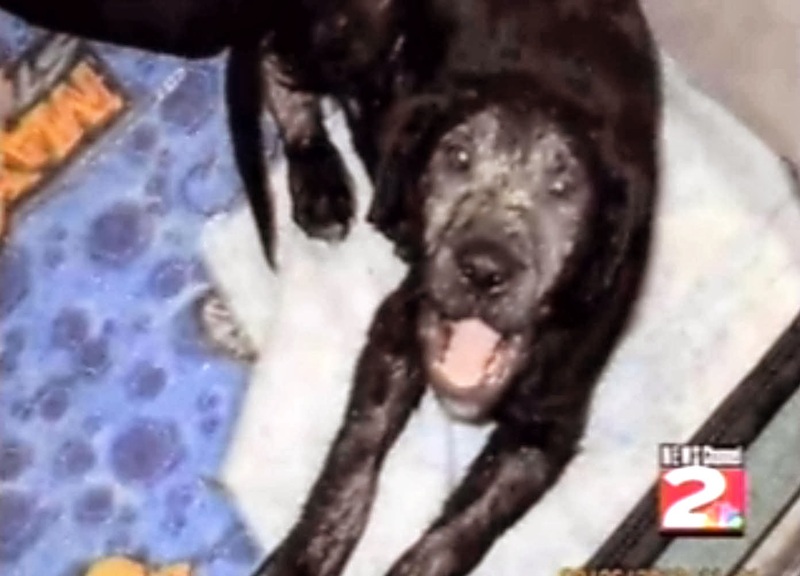 Wayne van Blargan will face charges in this animal cruelty case, according to troopers. NEW YORK -- A pit bull that mercilessly attacked and killed a young Shih Tzu Friday afternoon is being held by the city's Animal Control and Care. Though there were two unleashed pit bulls roaming Delafield Avenue Friday afternoon, only one was involved in the attack, according to Richard Gentles, a spokesperson for the agency. "That dog is being held by AC&C on a ten-day rabies observation hold as required by law while the NYC Department of Health & Mental Hygiene conducts an investigation," Gentles said. 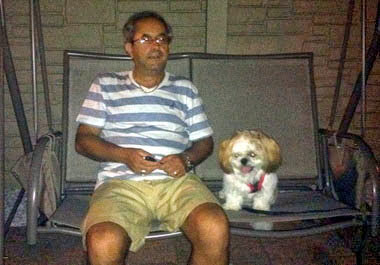 The shocking assault happened about 2:30 p.m., as Dionis Rembeci, 62, was walking 1-year-old Fluffy. 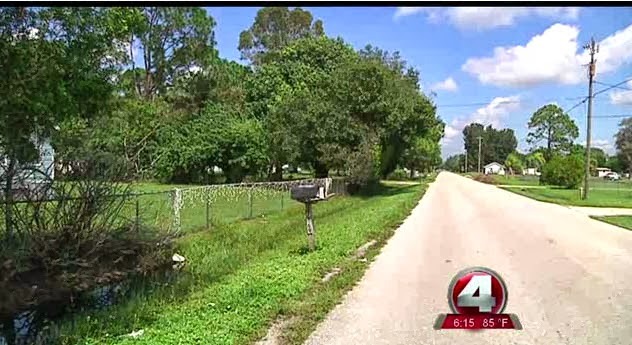 Two roving pits bulls suddenly attacked the helpless dog, ripping it from its leash, according to neighbors. Dionis Rembeci, who suffered a scrape on his leg and an arm injury while trying to defend his dog, succumbed to shock and fainted, said his son and neighbors. He underwent treatment in Staten Island University Hospital, Ocean Breeze, and is now recuperating at home. 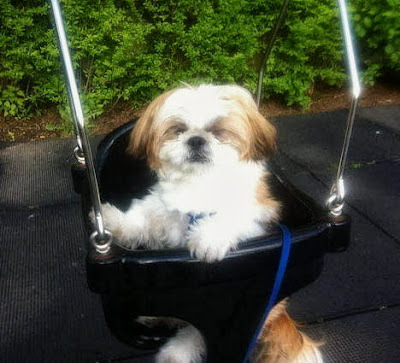 NEW YORK -- A pair of unleashed pit bulls that were roaming West Brighton mercilessly attacked a young Shih Tzu Friday afternoon, leaving the small dog dead and its owner in the emergency room. The shocking assault happened about 2:30 p.m., as Dionis Rembeci, 62, was walking 1-year-old Fluffy. Suddenly, the two pits bulls, which had been roving Delafield Avenue, attacked the helpless dog, ripping it from its leash, said neighbors. "The two dogs came flying up the street. They literally ripped [Fluffy] off of his collar and leash and wouldn't let go," said Maureen Doyle, who was visiting her sister on Delafield. "I tried to beat [one] with an umbrella, but it didn't work. [The larger pit bull] had the poor dog by the neck and it was shaking it like a toy." 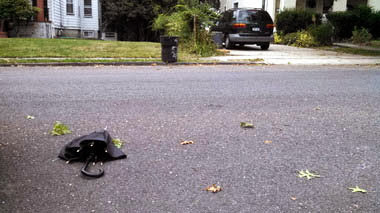 Later, the umbrella could be seen about 25 feet from the driveway across the street from the Rembeci residence. Albano Rembeci, 30, said the dogs -- "one of them was huge" -- pounced within moments of his father's crossing the street. "They threw [my father] to the ground. He used a stone to hit the big one to let him go. He somehow escaped," said the younger Rembeci, who was at work when the incident occurred. 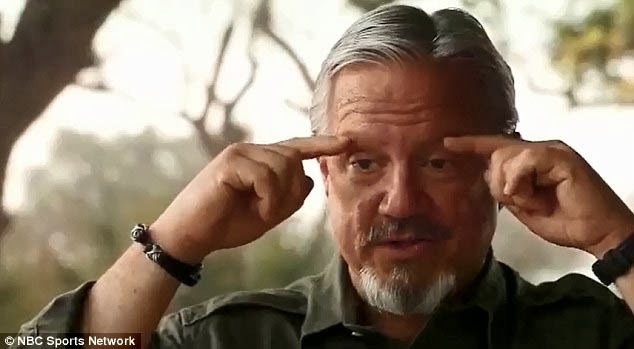 He said his father tried desperately to get the savage beasts away from the little Shih Tzu. Dionis Rembeci, who suffered a scrape on his leg and an arm injury, succumbed to shock and fainted, said his son and neighbors. As of Friday night, he was undergoing treatment in Staten Island University Hospital, Ocean Breeze. Police have yet to comment on the incident. Dionis made a gift of Fluffy to his parents, Dionis and Luljeta Rembeci, 66, last November. "My parents were going through a depression, so I got him for them," said Albano Rembeci. "They were getting older. They needed some sort of excitement in their life. They pretty much treated him better than a human being. No joke: The dog would eat with a spoon." Joel Rivera, who lives opposite the Rembecis, said he saw Mrs. Rembeci walk the dog each day. "She's always with that dog," he said. Rivera also saw the attack. "The big [pit bull] was very vicious. He destroyed the poor Shih Tzu," said Rivera, adding he'll exercise more caution leaving and entering his Delafield Avenue home from now on. "[Mrs. Rembeci] was screaming. I feel sorry for the lady and the dog. I was trying to do something, but then I said to myself, 'If I hit this dog, what's going to happen to me? They're going to attack me.'" Julio and Nicole Saldana, who live across the street, said the owner of the two pit bulls pulled up to the site and tied his dogs to a fence next to where Fluffy was killed. "He was an older man, too. He had gray hair," said the Saldanas, adding they don't know where he lives. Albano Rembeci said he believes the NYPD came and took the pair of pit bulls away. As of Friday night, the city's Animal Care and Control did not have any information about the dogs' whereabouts. Speaking outside the University Hospital emergency room, the son said he's heartbroken. "There's nothing I could do at this point," he said. "I just wish it never happened. I feel worse for [my parents] than myself. They looked at it as if [Fluffy] was another child to them." DELAWARE -- Wilmington Police Officer Daniel Humphrey is being hailed as a hero after rescuing a near-dead kitten from an unoccupied Wilmington apartment. 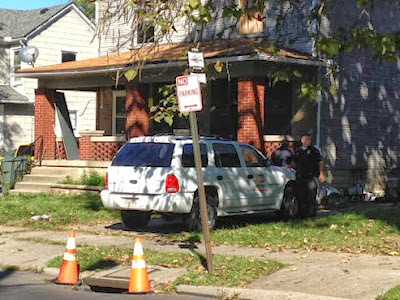 The landlord of a two-apartment house in the 1900 block of Lancaster Ave. called 911 after the upstairs tenant heard glass break and suspected an intruder was in the vacant downstairs. Officer Rusty Reed, Humphrey and his partner Cpl. Erik Meese responded, finding the first floor had a broken back window. The upstairs tenant let them into the building and the officers jimmied the downstairs apartment’s locked door. Then they started finding kittens, a total of five scattered around, all dead, and no sign of their mother. “It was a pretty disturbing sight, especially if you’re an animal lover,” he said. Then there was another sound. “If he didn’t chirp, we wouldn’t have found him,” Humphrey said. “Finally, we found this little guy sitting behind a door next to a shoe ... hidden away. “He was smaller than the dead kittens, way underweight and just covered with fleas,” he said. 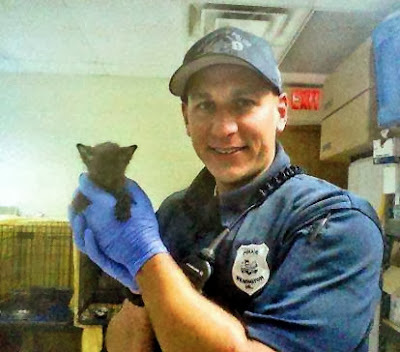 As Officer Reed called the Delaware SPCA to start a cruelty investigation, Humphrey put the kitten into a laundry basket with some clothes and drove straight to Faithful Friends Animal Society. 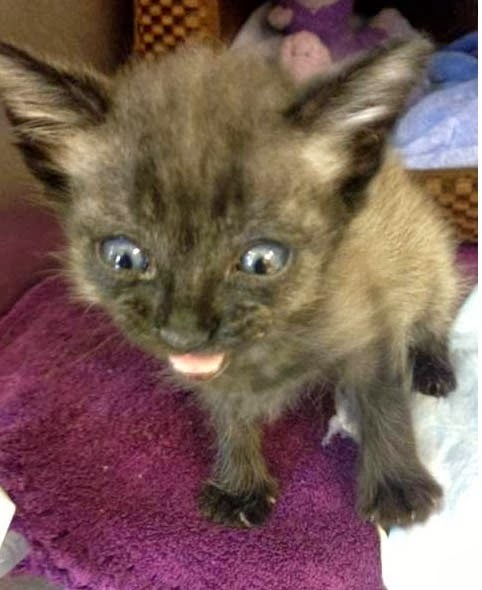 The kitten, thought to be 3 or 4 weeks old, was in extremely critical condition, said Jane Pierantozzi, executive director of the nonprofit, no-kill shelter in Germay Industrial Park near Elsmere. “We started getting the fleas off him right away,” she said, and put him on a heating pad to bring up his “deathly low” temperature. A Longwood vet tech took him home for around-the-clock care and, by Friday, he was in a Faithful Friends foster home – eating and playful. When the kitten, called “Little Humphrey” for his rescuer, reaches 3 pounds or about 12 weeks, he can be neutered, have his rabies inoculation and go up for adoption. Humphrey said he did what any officer would. And if he didn’t have “a house full,” he said he would adopt the kitten. But he, his son 8-year-old Daniel Jr. and girlfriend, New Castle County Paramedic Julianne Santora have two rescued cats, McLovin’ and Twilight, a rescued Chihuahua named Lily, a cockatiel named Bird and his canine partner, Sky. 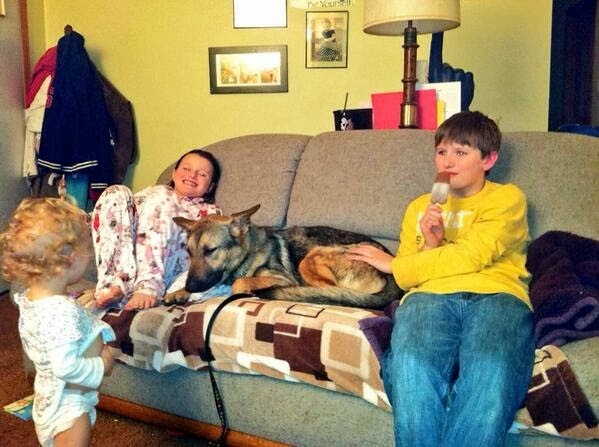 German Shepherd mauled by pit bulls; police stand by and watch. For TWENTY MINUTES. 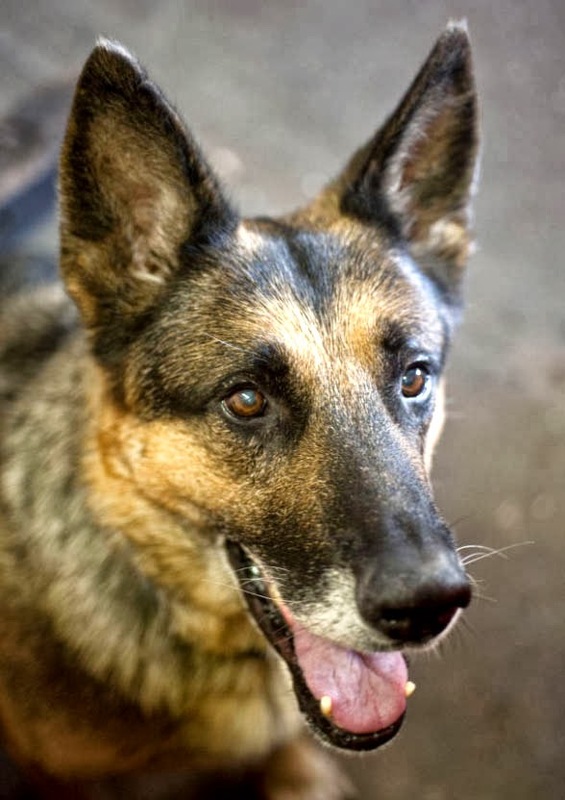 NORTH CAROLINA -- At first glance it’s difficult to tell that Max, a rather large and intimidating German shepherd, has been through hell. He’s a trained guard dog, wary of strangers and protective of those who take care of him. If you peek in on Max at the service station where he stays during the day, you wouldn’t notice that he’s hurting. Until he stands up, that is. Then you can tell. The big dog hobbles along, favoring a back leg. He doesn’t hear so well and has trouble seeing. Eating can cause him trouble, too. His ailments weren’t caused by old age, either. Max was mauled by a pair of pit bulls that his owner believes were deliberately turned loose on him. And that’s been a source of frustration — no one in authority will listen to Max’s story. Grubbs owns the Parkway Texaco service station and runs a towing business out of it. He also has a lot on Vargrave Street where he stores vehicles. Max has lived for 12 years on that property, a storage lot inside a tall chain link fence topped with barbed wire. He’s not a pet. He’s a working dog, trained to guard the property and keep intruders out. The evening of June 20 there were intruders, a pair of pit bulls that got into the lot and literally tore Max to pieces. Grubbs found out about the attack from one of his drivers, Terry Alley, who was working that evening. A woman who lives near the Vargrave Street storage lot came to the station shortly after 8 p.m. to tell somebody that Max was being attacked by pit bulls and that two boys had put them inside the lot. As to what happened next, we’ll rely on witness accounts provided by Alley and Grubbs, who had driven over to find out what had happened to his dog, and reports filed with the Winston-Salem Police Department. Messages left with the Forsyth County Sheriff’s animal-control squad weren’t returned. So the mauling continued for at least another 15-20 minutes until animal control and the owner of the pit bulls, who lives nearby, arrived. Not long after animal-control officers arrived, the [attack] was [finally stopped]. The owner of the pit bulls called them off and agreed to surrender them to animal control. Michael Farrar was later given a citation for violating leash laws. Grubbs went to tend to Max and take him to a veterinarian. He said he asked police — he doesn’t recall if it was a patrol officer or animal-control deputy — if anyone was going to ask the boys if they let the pit bulls under the fence or charge them with dog fighting or cruelty to animals. Perhaps not the most tactful way to ask for help, but his frustration is understandable. You’d be ticked, too, if your dog had been mauled and you didn’t know if he was going to live or die. So, too, was the immediate police response. 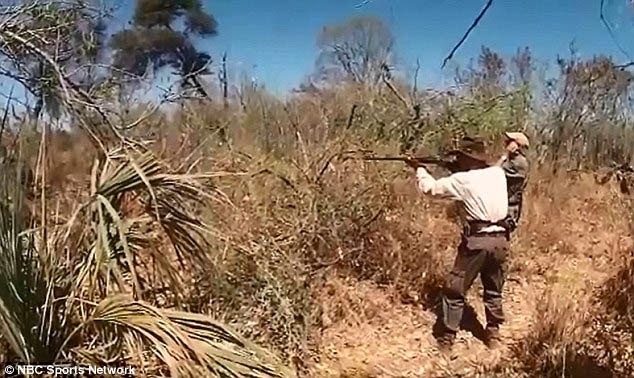 They can’t just shoot aggressive dogs if humans aren’t in danger, and they couldn’t risk being mauled, either. In the end, the pit bulls’ owner consented to have the dogs put down and, Grubbs said, apologized. Still, he wants to know why more wasn’t done to find out how it happened. The pit bulls didn’t climb out of their kennels nor would they have had a way to pry up a secure fence. And it’s not unheard of for people to train their dogs to fight and kill other dogs just for kicks. 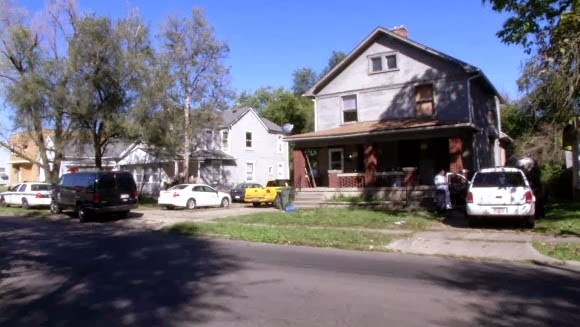 OHIO -- Multiple dead dogs were discovered at a Dayton home. The Dayton Police Department and the Animal Resource Center spent Friday afternoon investigating the property at 2306 Catalpa Drive. 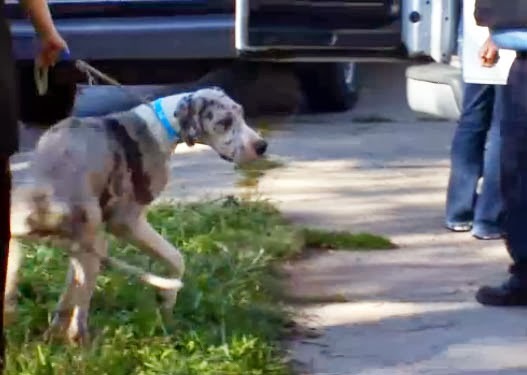 Great Danes, Labradors, and rabbits were all pulled from a home neighbors said has been a problem for more than a year. "The dogs have broken out all the windows," said Sherita Smith. "They get on the top of the roof and climb up there and they bark at people. It's been very bad." But what the Montgomery County Animal Resource Center found inside the home was more than anyone expected. 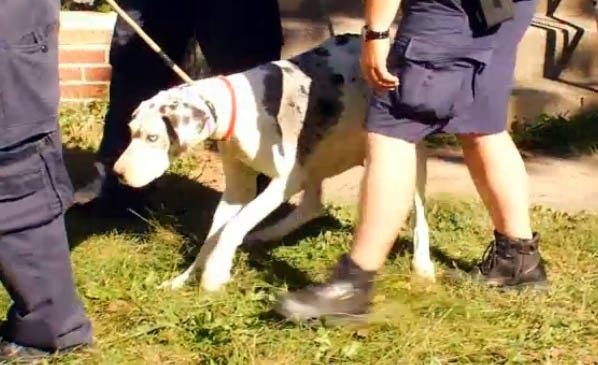 At least three dead dogs were discovered, including a Great Dane that was said to have been left on the stairs. Three puppies pulled from the home managed to survive. "These little guys seem to be doing okay this evening," said Mark Kumpf, Director of the Montgomery County Animal Resource Center. "Unfortunately, not all of them made it. 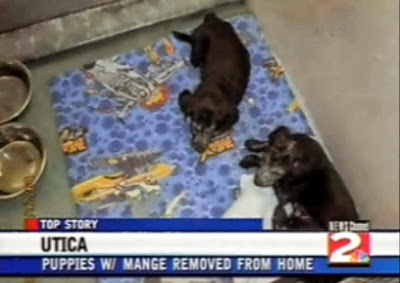 We're going to have to get them back to our vet to make sure they get checked out tonight." Neighbors said a family of three lived inside part of the duplex, including a young child about two-years-old. Kumpf said Friday night that it wasn't the first time the animal resource center has had a run-in with the family, reportedly working a dog transportation service that operates through Craigslist. Crews continued to pull animals from both parts of the duplex. One dog was found trapped in the basement. Another was found dead inside a van. Altogether, thirteen dogs were found alive. "There is quite a number of live dogs here this afternoon," said Kumpf. "That is what we are here for. We may have been too late for some of these but we won't be too late for the others. Get them the help and they attention that they need." Neighbors said they are now thankful something has been done. They just hoped it was sooner. "It didn't have to come to that," said Smith. "Because we've been calling and the postal service has been calling, all of the neighbors. You can smell it. The whole street just smells." Charges are still pending as investigators compile their report to present to the prosecutor. City inspectors condemned the property. 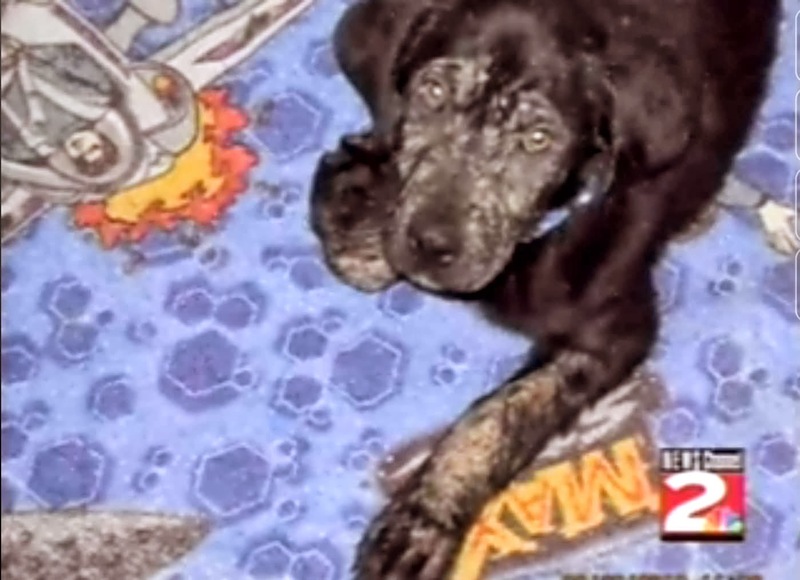 NEW YORK -- Two dogs were taken from their south Utica owner, suffering from extensive mange, a skin infection and intestinal parasites. Utica Police took the dogs yesterday, after the city's animal control officer says the owner failed to get the dogs the medical care they needed within a 72-hour warning period. The two black labs are brothers. 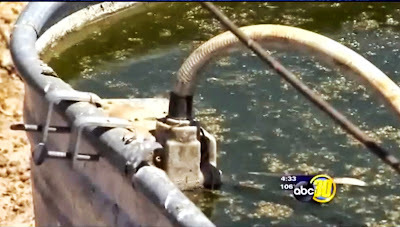 The animal control officer says their condition isn't just difficult to look at; it's painful. "It's very discomforting. Itchy, scabs, swollen skin, so forth and so on. 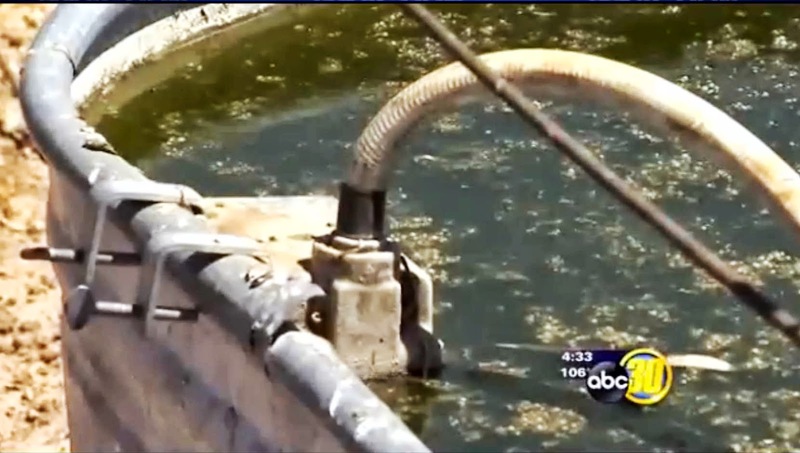 it's mites but it's very bad and at this point it's escalated to the infection," says Animal Control Officer Christopher Collver. 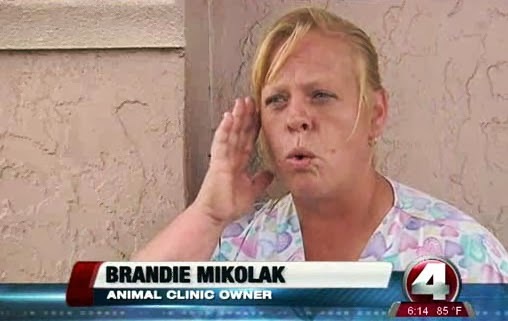 The owner, Jeanette Saponaro, of Baker Avenue, says she's never been cruel to an animal and is unfamiliar with mange. The Stevens Swan Humane Society is caring for the dogs, whom they named Bo and Duke. Staff there say it will be at least two months before the dogs are ready for adoption; closer to six months before they're fully in good health again. Saponaro faces two misdemeanor charges of animal cruelty and is free until her next court appearance, which has not yet been scheduled. WISCONSIN -- A Wood County sheriff's deputy is recovering from injuries suffered Thursday when two dogs attacked him while trying to arrest a suspected drunken driver, authorities said. A Wood County judge found probable cause Friday in the drunken driving case against a 48-year-old Pittsville woman after authorities say her two pit bulls attacked the deputy. 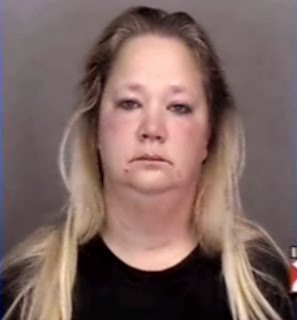 Cora M. Fuller appeared Friday afternoon in Wood County Circuit Court via video conference from the jail on potential charges of fourth-offense drunken driving, obstruction and resisting an officer. Judge Nicholas Brazeau Jr. found probable cause to proceed with the case, set a $1,500 cash bond and ordered Fuller to maintain absolute sobriety. Wood County District Attorney Craig Lambert said Fuller ran away from the deputy and back into her house twice when he tried to arrest her Thursday, and that increased the possibility she would leave the area or not show up for court if she was released from jail. Emily Nolan-Plutchak, a public defender who represented Fuller at Friday’s bond hearing, argued for a signature bond, saying Fuller has lived in the Pittsville area her entire life and that her most recent drunken driving conviction was about a decade ago. Fuller pleaded with the judge either to lower the cash bond or issue a signature bond instead, saying $1,500 amounted to three months worth of mortgage payments. Brazeau said a cash bond is standard in the case of drunken driving cases. 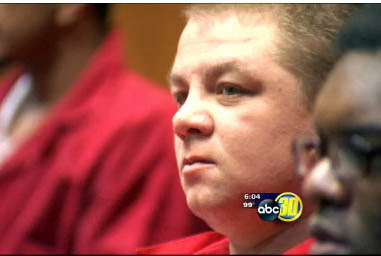 The one family member in the courtroom began to cry. At about 5 p.m. Thursday, Goldberg was driving along Veedum Street — also known as Highway E — in Pittsville, when he saw Fuller driving without a seat belt. Goldberg activated his squad car’s emergency lights and pulled into a driveway at 8342 Veedum St. and saw Fuller get out of her vehicle. Goldberg yelled at her to get her to stop, but Fuller went into the house. The deputy talked to Fuller through the window, and Fuller told him to write her a ticket for not wearing a seat belt, according to the report. A short time later, she came out of the house, and Goldberg smelled alcohol. He asked her whether she had been drinking; she said she had not. The deputy then asked whether she had drunk any alcohol while inside her house. Fuller said no, but then paused and then said she did. Goldberg asked Fuller to come closer to the squad car, but she attempted to go back into her house. The deputy grabbed her arm, but the woman tried to pull away. The deputy ordered her to stop, and she pulled away, opened the door to her house and continued to fight. Two large pit bulls came from inside and bit the deputy at least two times in the buttock and the lower right leg, according to the report. Goldberg then shot each dog once, and both animals moved away. 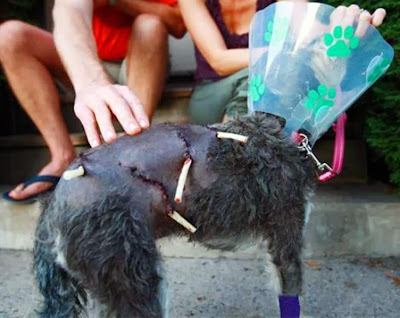 One of the dogs later had to be euthanized because of its injuries, and the other is recovering. 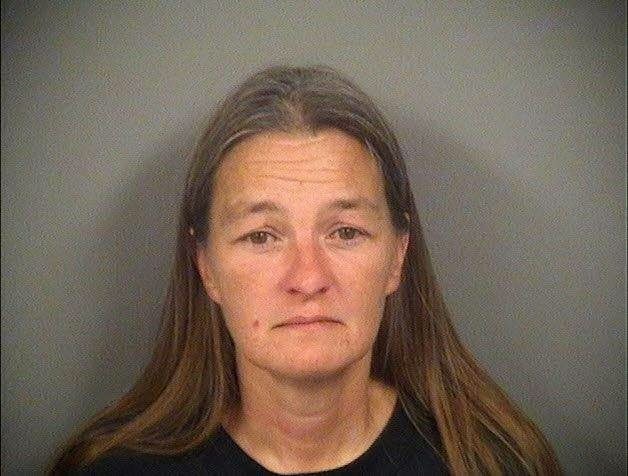 Deputies then used a public address system to call Fuller back outside, but she refused, according to court records. Authorities later entered the house and arrested Fuller, who performed poorly on a field sobriety test. Fuller blew a 0.068 on a preliminary breath test, though Department of Transportation records show she is not allowed to drive with more than 0.02 percent. As of Friday afternoon, Sheriff’s Department personnel had completed their investigation but are waiting for blood test results, Lt. Shawn Becker said. It could take as long as three weeks to get those results back, Lambert told the court during the bond hearing. Fuller’s next appearance is scheduled for Oct. 14. Pittsville resident Frank Skrenes, who said he’s Fuller’s brother, said his sister was sitting on his porch with other family members. She got up to go home — she lives three blocks away from him, just across the Yellow River bridge — and when she started to drive away, a Wood County Sheriff’s Department squad vehicle activated its emergency lights to pull her over. He said his sister pulled into her driveway, and the squad vehicle pulled in behind her. Skrenes said he later heard what sounded like two gunshots. Skrenes said his sister’s dogs, Zeus and Sassy, were not doing anything wrong but rather were responding to what they perceived as a threat to their owner. “They did their job; they protected their owner,” Skrenes said. “It was wrong what this cop did. ... What happened (Thursday) night was a travesty of justice. Meanwhile, Wood County’s top law enforcement official said Friday the deputy was justified in shooting the two pit bulls. The deputy was released from the hospital and is recovering at home from his injuries, which were multiple bites that “were very uncomfortable in nature,” Wood County Sheriff Thomas Reichert said. “(His actions), I feel, were very, very appropriate and well within his duties as a deputy sheriff,” he said. The incident serves as a public reminder of the dangerous situations law enforcement officers encounter on a daily basis, Reichert said. 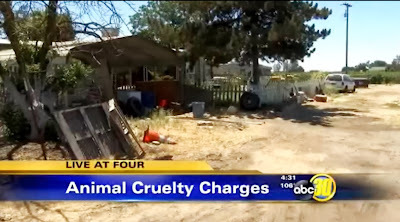 CALIFORNIA -- A Fresno County man who pleaded no contest to six felony charges of animal cruelty was sentenced Friday to 180 days in jail, 200 hours of community service and three years of probation. In announcing the punishment, Superior Court Judge Gregory Fain said Gary Charles Long, 31, admitted his wrongdoing and has no prior criminal record. so he won't look so much like an anti-establishment, neo-Nazi wannabe. Typical ploy by defense attorneys. 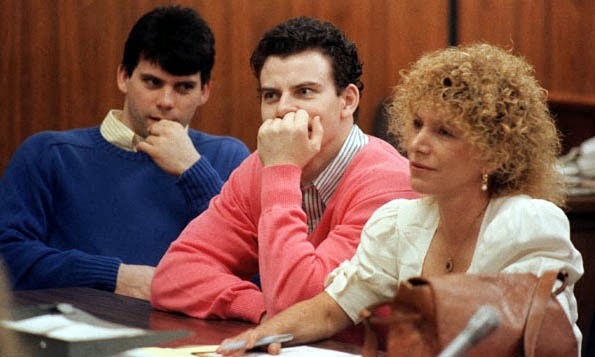 Remember how the "Menendez Boys"
were trotted out in their oxfords and cutesy sweaters during their murder trials? hugging the 'boys' and acting motherly towards them in front of the jury. But Fain told Long he could not manage or take care of livestock or animals used for food or work. Long also cannot be employed in a job that cares for animals, the judge said. 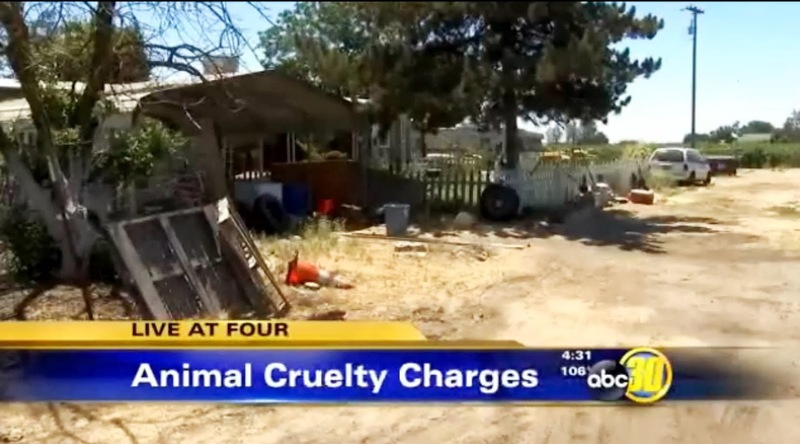 Sheriff's deputies arrested Long on July 3 after they received an anonymous tip regarding dead and emaciated animals at his home on the 11000 block of South Cornelia Avenue near Raisin City. 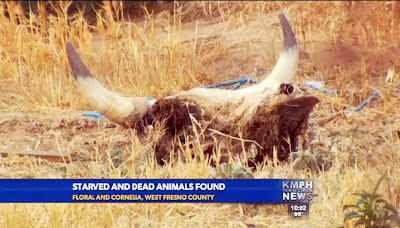 When deputies arrived, they found dead chickens and a dead cow, as well as malnourished cows, pigs, dogs and rabbits, authorities said. Brittany Long is eight months pregnant and says she's in no shape to take care of animals. That was her husband's job. But she says the extreme conditions described by investigators have been exaggerated. who puts her cell phone in her bra strap while talking with reporters. 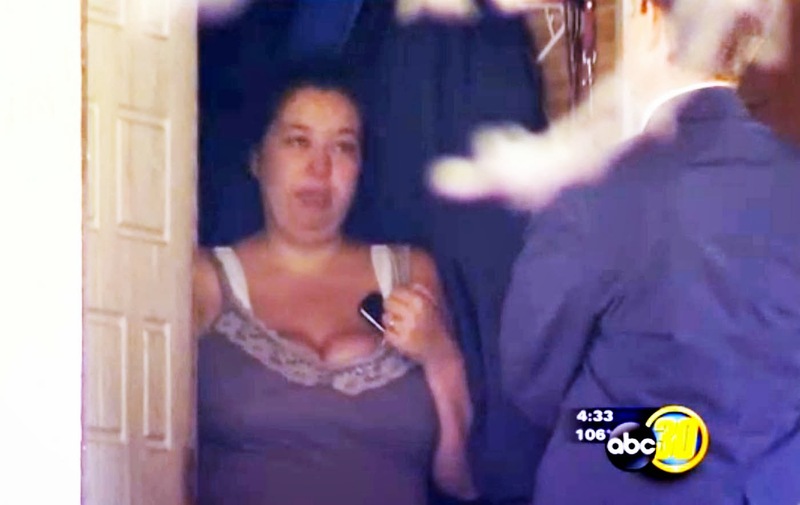 "This is not right," said Brittany Long (on the day of the raid). "Our animals come first. We, in most cases, feed our animals before we feed ourselves." In a plea deal last month, Long pleaded no contest to six felony charges and prosecutors dismissed 10 felony charges of animal cruelty. Long is expected to be released from jail Monday because of time he has already served behind bars, and because of good-time credits earned while in custody. Man who starved animals to death receives "multiple letters from family and friends on his behalf"
NEW YORK -- A Saunders Road man was charged with animal cruelty Thursday after Queensbury's animal control officer seized four malnourished dogs that were in need of medical care from him, officials said. Brandon Nelson, 21, turned over the dogs after Animal Control Officer Jim Fitzgerald after Fitzgerald received a call about their conditions. Two pit bulls, a bulldog and terrier/hound mix were turned over to Fitzgerald. Nelson was charged with misdemeanor animal cruelty for failing to provide food and medical care to the dogs, which were very underweight and in need of treatment for worms, Fitzgerald said. He said he was financially unable to buy their food and voluntarily surrendered them, Fitzgerald said. The dogs, one of which is pregnant, are expected to survive and are being treated at Glens Falls Animal Hospital before they are turned over to the Friends of Phoebe shelter in Queensbury to be nursed back to health. Fitzgerald said dog owners in Queensbury who need food for their animals can contact his office for emergency help, and many local animal shelters will also provide emergency assistance to pet owners who need food, he said. "People need to call for help before we get a call from someone else," he said. Warren County sheriff's Patrol Officer Scott Rawson made the arrest. CANADA -- A Hamilton couple is charged with animal cruelty after a dog that had been "suffering for a significant period of time" had to be euthanized. The dog had to be euthanized in March after it was brought to the SPCA "in serious medical distress," the Hamilton/Burlington SPCA said. A man arrived at the SPCA claiming he had found the animal and wanted to hand it over to Hamilton Animal Services. The SPCA became suspicious when the man couldn't provide accurate details of how he found the dog. The dog was taken to an emergency veterinarian where it was determined the dog had been suffering for a significant period of time. "The animal was in such a severe medical state that no humane option other than euthanasia was available to relieve the suffering and distress," the SPCA said. An investigation revealed the man, who claimed to have found the dog, was actually its owner. A couple from central Hamilton was charged with one count of allowing an animal to be in distress and two counts of failing to comply with standards of care under the Ontario SPCA Act. The Hamilton/Burlington SPCA hasn't released their names. To report cruelty, contact the SPCA's Vivian LaFlamme at 905-574-7722 ext. 401 or cruelty@hbspca.com or call the local police. CANADA -- Efforts to turn two stallions into geldings have resulted in a Ramara Township man and Owen Sound man being charged, found guilty and fined for animal cruelty. The Ontario SPCA Investigations Department received confidential information that two stallions were restrained and castrated without the use of proper sedation or anaesthetics at an Orillia area farm. One of the horses sustained an injury to one of its legs during the castrations. David Binns of the Owen Sound area was handed a one thousand dollar fine after being found guilty at his trial. Joe Hannan of Ramara Township was handed a 125 dollar fine after pleading guilty to permitting distress to an animal. MAINE -- The horse is named Knotty, and he could be put down in a matter of days. But not if Dan Buck Soules has anything to say about it. Soules and his family once owned the horse, a former racer they got in 2003 through a rescue outfit in Canada. They bought the horse for their daughter, but a year ago, the daughter went off to Alabama, leaving Knotty behind. Dan and his wife were unable to care for the horse on their own, so they turned the animal over to RiverView Farm on Edgecomb Road, with the arrangement that they could buy it back if their situation changed. Soules said they had been housing Knotty at the farm all along for $350 a month. It seemed like a good arrangement — the people of RiverView could use the horse to show or ride, while the Soules always knew it was in a safe place. But Soules said he got a phone call recently from Lisa Bosse, owner of the farm, who advised him that Knotty was sick. It had trouble getting up and would need to be put down. Bosse told the Souleses that she’d already sunk money into Knotty’s care, and there was just no other way. Dan Soules disagreed vehemently. Through his research, he said, he learned that Knotty probably has Lyme disease. It’s fairly common in horses, and it’s treatable. While trying to sort out the matter, Soules said he and his wife went to see Knotty at RiverView Farm. Whether it’s that black and white is probably something that needs to be sorted out by the lawyers. Soules said he has contacted his own. He also tried the local animal control officer and the police. There was no help there — the matter is a civil one, police said, not a criminal matter. Bosse herself could not be reached Friday and did not return messages left at the farm. Soules said he’s not looking for a big legal fight. What he wants is his horse back so he can try to make it well. Short of that, he’d like some kind of legal injunction to keep Bosse from putting the animal down. Soules said he has a contract granting him right of first refusal if he decided he ever wanted Knotty back. But Bosse won’t honor it, he said. The farm owner told him that he had fallen behind in his boarding payments, which may have nullified the contract, he said. Soules insisted he got paid up and only stopped paying when he learned that Bosse planned to put the horse down. Why, he wondered, would someone want to go through the trouble and expense of killing an animal when the original owner is perfectly happy to take over its care? Whether or not Knotty suffers from Lyme disease has not been determined. It remained unclear Friday whether Bosse had the animal tested for the disease. Dan said all of his research — with the help of a veterinarian service — points to Lyme as the exact cause of Knotty’s suffering. More common in the Northeast than elsewhere, Lyme disease in horses is said to cause lameness, low energy and arthritis, as well as other problems. The disease is typically treated with antibiotics. RiverView Farm has been in business since 2000 and offers boarding and riding. Soules said Friday night that he is waiting to hear from his lawyer. Attempts to resolve the matter with Bosse directly, he said, have failed. 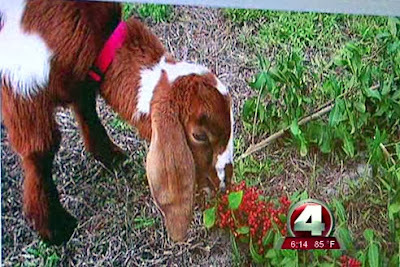 FLORIDA -- Five-year-old Millie the goat meant everything to her owner, Jaynelle Hamilton, and her family. Jaynelle bought the goat as a baby to keep her ill grandmother company. "It's so odd to have a goat as a pet most people say but she was more loyal than any dog I've had," Jaynelle said. 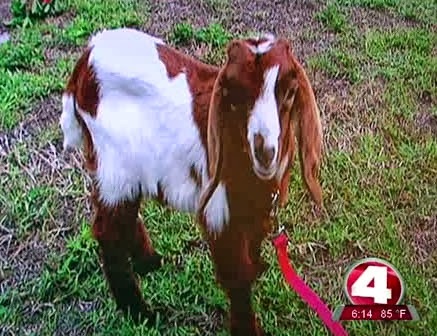 "She was just a happy-go-lucky goat." 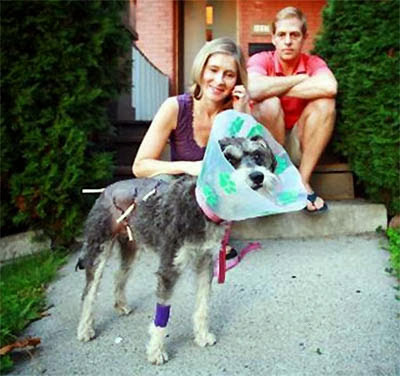 When Jaynelle came home on Monday, Millie was anything but happy go lucky. Jaynelle found Millie laying on her side, with two pit bulls standing over her. "They had blood dripping from their mouths," Jaynelle said. "They went after her... they knew what they were doing and went for certain parts that were meant to kill her." The attack left Millie with shredded ears, several puncture wounds and broken legs. "The right side of her face was torn all by her ear and it was ripped open so that you could just see the itissue in her face... she was pretty much mutilated," said Brandie Mikolak, owner of Our Hope Center animal clinic in North Fort Myers. 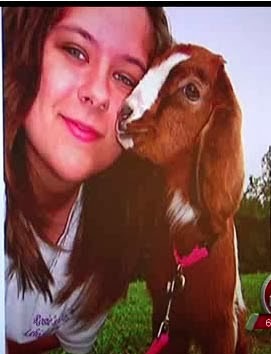 Jaynelle spent three days by Millie's side nursing her, hoping her goat would pull through. Millie died Wednesday morning. "I'm so proud of my daughter and the heroic work she did to try to save her... three days of IV's and injections and sitting by her side comforting her," said James Hamilton, Jaynelle's father. 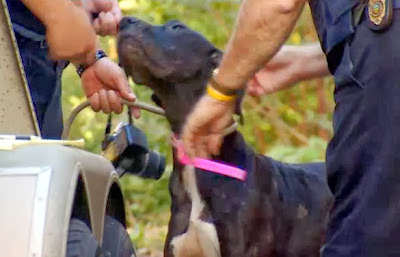 Animal Control cited the pit bulls' owners with eight citations- four for each dog- but this family worries that won't do enough to prevent this from happening to another animal or a child. In order for an animal to be considered "vicious" and taken from its owners, it must have had two attacks on another animal. The attack on Millie was the first reported attack for these dogs.